If you're in the greater Cleveland area and looking for a replacement window company near you, check out our service area, give us a call and you will likely find we're working on a window, door or vinyl siding installation near you today! Integrity Windows is a locally owned small business providing highest quality vinyl replacement windows, wood windows, entry doors, storm/security doors and vinyl siding. We operate out of our main office in Lakewood, Ohio where you can visit our showroom. Our team provides windows, doors and siding in the service area highlighted and listed on this page. 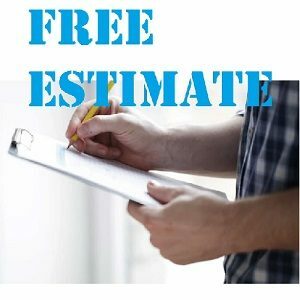 If your home falls within this service area fill out a free estimate request form or call us at 216-221-5800 for a free estimate - no pressure, transparent pricing. The red pin is our showroom and main office in Lakewood, Ohio. From our office and showroom in Lakewood, Ohio the team at Integrity Windows provides highest quality replacement windows, wood windows, entry doors, storm doors, security doors and vinyl siding with professional installation throughout the greater Cleveland area. So you're looking for new windows, vinyl replacement windows, wooden windows, an entry door, patio doors, storm doors, security doors or vinyl siding. You have a lot of options in the Cleveland area, so how do you decide which window, door or vinyl siding company to use? Do you go with a national window giant that you see on billboards at Progressive Field and TV and radio commercials? Do you use your local handyman or jack of all trades? At Integrity Windows we offer the best of both worlds - we have the same high quality windows advertised by the national window giants while being a local company delivering personal service. When you work with Integrity Windows you can expect a no pressure estimate, not a high-pressure sales pitch or deceptive buy one get one free promotions. When you work with Integrity Windows you can expect professional installation from trained and certified installers of windows, doors and vinyl siding, not a jack of all trades master of none. When you work with Integrity Windows you work with a local small business. Our team are your local friends and family. We take accountability for our products and installation and continue to build a business from referrals of people like you that support local businesses. Working out of our Lakewood, OH office, Integrity Window Co. enjoys serving the greater Cleveland area with new replacement windows, new doors, vinyl-siding and window & glass repair. Whether you're on the west side - Westlake, Fairview Park, N. Olmsted, Avon, Avon Lake, Bay Village & Rocky River, the east side - Cleveland Heights, Richmond Heights, Mayfield, Willowick, Maple Heights, Euclid, Gairfield or in Cleveland, let us be your local window company. Leave a review or read a review on our reviews pages. Copyright © 2019 Integrity Windows. Powered by WordPress. Theme: Spacious by ThemeGrill.